On 4/13/2019 at approximately 11:20 pm, a Milwaukie Police Officer attempted to contact a subject near SE Monroe Street and SE 42nd Avenue in Milwaukie. The subject matched the description of a male involved in a previous call, where the threat of a gun was reported. The contact led to a taser deployment near SE 42nd Avenue between SE Jackson Street and SE Harrison Street. The taser deployment was not effective. Moments later, the officer and male subject exchanged gunfire near SE Harrison Street and SE 42nd Avenue. The officer was shot in the exchange and the suspect ran from the shooting north to SE Llewellyn Street and hid under a truck and camper. Officers located the subject which ultimately led to another taser deployment and custody. The injured Milwaukie officer was transported to a local area hospital with non-life-threatening injuries. The Clackamas County Major Crimes Team has been notified and is taking lead on the investigation. 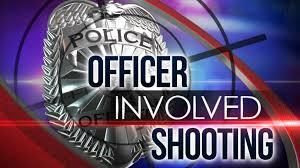 We are not releasing the officer’s name or suspect’s name at this time, as this is an ongoing investigation. Currently SE 42nd Avenue from SE Monroe Street to SE Llewellyn Street and the 4100 block of SE Harrison Street and SE Llewellyn Street are closed to all vehicle and foot traffic.